← Super Safi’s Stats & Strategy Special: Minigames – Rocket Launch Pad! And you’ll have the option to place Slithers in your Springfield or store him in your inventory for later. Note: Slithers is a FULL character, NOT a skin for Smithers. Once in Springfield Slithers does come with his own questline. You’re good to complete it when it pops up since Slithers adds no benefit for the event. Here’s a look at the quick version of the questline…. And there you have it, the details behind Slithers, the fourth 2017 THOH Act 3 prize! Lord Montymort’s Lair- Awarded at 23,400 . This will be the next prize we break down in the prize guide post. What are your thoughts on Slithers? Safe to assume you’ve unlocked it by now? 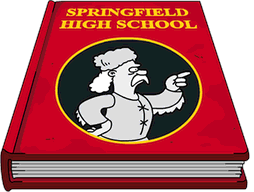 Where have you placed it in your Springfield? Sound off in the comments below, you know we love hearing from you! This entry was posted in Characters, Tips and Tricks, Updates and tagged act 3 prizes, How do i get slithers, is slithers a costume for smithers, slithers questline, slithers tasks, Tapped Out Halloween, Tapped Out Halloween Event, Tapped Out Magical Halloween, Tapped Out Tips and Tricks, The Simpsons Tapped Out, THOH 2017, toad prince prizes, TSTO Addicts, TSTO Halloween 2017, TSTO Magic Event, TSTO Tips and Tricks, what does slithers do. Bookmark the permalink. Anyone having issues after an update this morning? Got Dracula last night, but instead of going for bonus donuts, there’s a storyline for Dracula. 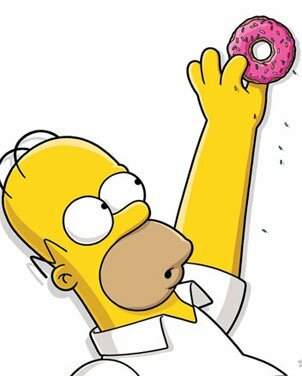 Am I mistaken or wasn’t it always once you got the last prize for the act, bonus donut time kicked in? I know they had it in this event for bonus donut time to trigger once you finished the storyline for the act, but this act’s storyline is going way beyond bearable with this ponderous grinding battle of Montymort. I’m nearly done with the wizard portion of round 3 but that means I have 8 rounds (2 days) of the beast portion of the battle. That leaves only 2 days to try for bonuts which means I’m collecting frogs beyond the 31200 for Dracula for nothing. EA got it all kinds of backwards for this event. Ugh, I forgot there were two more parts to the storyline after the defeating Montymort 3 times. Which means there will be barely any time to try for bonuts. My point was, and I thank you for the reply, it seems EA didn’t really plan this act out well. The story generally ends before the last prize is gotten, but this time, players are getting the last prize days before the storyline is finished. That whole chunk of time (52 hours of battle for each round – 156 hours total – if you have premium characters battling. So 6.5 days after you’ve reached part 3 of the storyline) if you can come in to tap 4 times a day, has made the storyline drag out & you’re still not done. After grinding for nearly a week, there’s still 2 more parts 8 hours or more. Meanwhile, we’re accumulating frogs that aren’t counting towards bonuts because players have reached the final prize before the end of the storyline. Just seems a bit backwards to me & EA should have started the bonuts when players have receive the last prize for round 3 instead of the end of the storyline. There will be, at least for me, a 4 day gap between when I got Dracula & when I finish the storyline. Will probably have amassed 40k+ frogs by then. I agree ☹️ I can’t understand why EA have made unlocking Lord Montymort so torturously long… I (too) am still grinding away. So, Act 3, if a player can log in every 4 hours, 4 times a day, would take 13 days from start to finish (freemium, with some premium characters to help & break down the battle to 5 rounds for wizards, 8 for beasts & rest period). That same player would get Dracula with about 4 days to spare (day 10 of the 14 day act), leaving about 1 day for collecting 15000 frogs for bonuts. I guess EA figured they gave the opportunity to get enough bonuts in acts 1 & 2, so let’s make act 3 bonkers backwards. LOL. 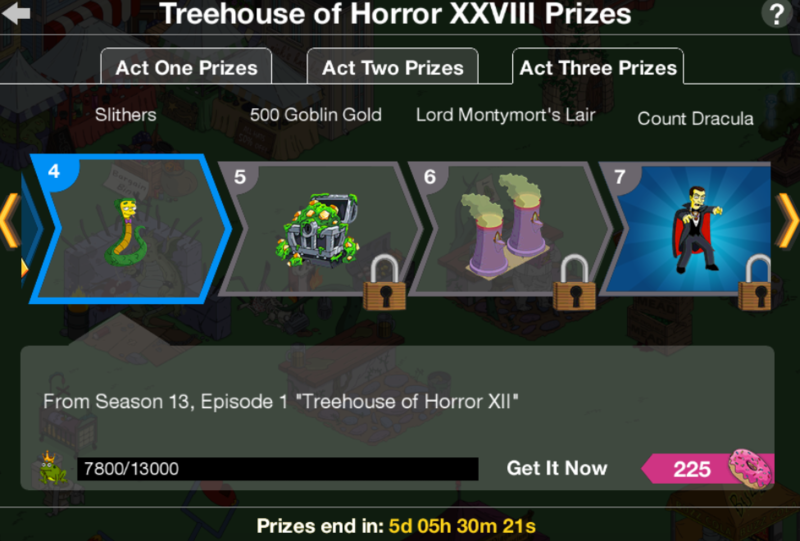 It won’t – I got Dracula and finished his short questline before finishing the capture of Montymort. Both characters are in my town doing their tasks. Just wanted to thank the mods for helping to keep us engaged in an otherwise horrible event. If it weren’t for Addicts I would have quit this game long ago. You give us more of sense of community than the actual EA forum. The time ya’ll dedicate to this really hit home for me when Patric posted about doughnut farming. When Patric revealed that he was at about a 250ish% bonus rate, it made me realize the time involved in writing engaging content. How much higher would all of your bonus % be if you used the time in updating this blog into building your own towns, as we do? And Alissa who has moderated a half a million comments! I appreciate it and my bonus % would not be nearly what it is without your guidance. I wouldn’t have even know to KEM farm! Everything on this site that you need to know is organized and searchable and much more informative than EA’s site who is getting paid to do this. So thank you Patric, Safi, Alissa & Wookie! This event stunk as bad as horse manure but you all kept us going. 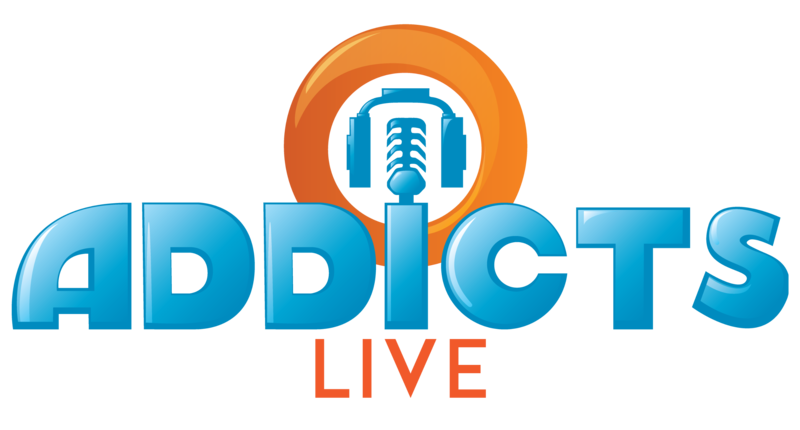 All ya’ll fellow tappers: raise your glasses high and 3 give cheers and a thank you to the Addicts! Mostly Alissa! But, thanks much! Glad he is a full character! Have they created an act 3 calander yet? Its almost over. Best prize of this track! Heeeey, its strange: i unlocked the montymors lair, but can not “place” it. No possibility to change the skin of the cooling towers and it os not findable in the inventory (buildings, deco, chars)… is it a bug? Am I the only one? The Lair should be in your inventory, but NOT in any of the subcategories; instead, you need to scroll through the FULL list of items to find it. Thanks so much for that. Been trying to deal with EA about why I couldn’t find it anywhere for over a week. Had pretty much just given up on getting the skin. Even though this event has been boring, I have to say Slithers is awesome. Slithers is my favourite character of the event, is so strange and odd. I love her! I wasn’t expecting this to be an NPC, not a skin for Smithers lol. But nice to see that they put a full character in the middle of the track. LOVE the Come Out of Scales animation, the rainbow skin made me laugh!